As most of you may know, my husband and I are in the process of building our own home. As crazy as it sounds we are paying for it as we go and it will be paid for upon completion (did I say crazy? I meant INSANE!). As slow as the progress on the house is because we are doing everything that we can ourselves we have had quite a few people over the last few months that have been gracious enough to help with things when we give them a call. As we were racking our brain on what to do for those that have helped thus far we decided to have an ice cream social. Since it’s summertime, that made more since to me than anything else. This way people will be able to bring their families and there will be something for everyone to enjoy. Who doesn’t like ice cream, right? Since I want to make this a memorable experience for everyone and TRULY show our appreciation for their help (because let’s be honest, we’ll probably need their help again…. 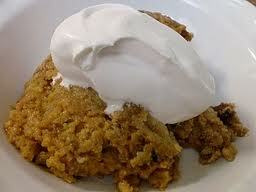 just sayin’) I’m trying out some new ice cream toppings in the crock pot. Needless to say my family doesn’t mind that we’re having ice cream for dessert every night for a couple of weeks while I do these test runs on recipes. Do you blame them? The first one that I tried is this crock pot hot nutella ice cream topping. 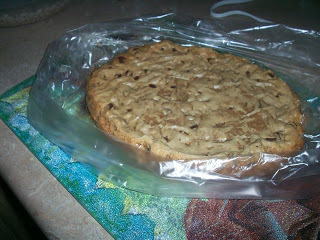 It was warm and gooey…. and rich to boot! The ice cream was the perfect compliment to it to help cut the sweetness. 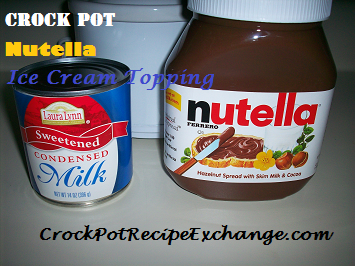 Place Nutella and sweetened condensed milk in a 1 1/2 quart crock pot. Cook for 1 – 2 hours stirring often. Serve over favorite ice cream. I’m sure everyone will go as crazy for this as we did. This was absolutely delicious not to mention it hit the spot after a long, hot day of working outside. OH…. and here is the progress that is done on our new home so far.